UPDATED: Check below for some photos from Hipsley’s Opening Night. Heading up Lonsdale Street we passed current darlings Lonsdale Street Roasters (and its soon-to-open sibling), and got to thinking we were running out of Lonsdale Street itself. Finally, we spied the small, blue A-frame quietly promoting the newly opened venue and upon entering were greeted by the lovely store manager Madelaine, a few intrigued shoppers and the sound of circular saws. 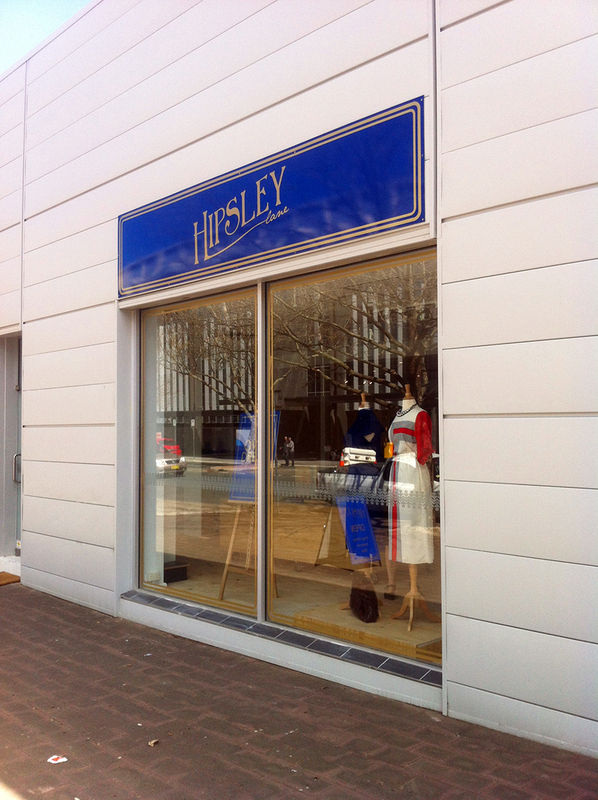 Hipsley Lane offers a new concept in fashion retail for Canberra – offering second-hand vintage styles as a not-for-profit outlet. First thoughts make you think this is a glorified op-shop, and in a certain way this is true. The difference being that Hipsley Lane does not rely on donations to stock their store, rather they deal with an American exporter who sends bulk shipments to Australia. Hipsley Lane gets first pick on the arrival, and the results are available for all to see. A fantastic range of dresses, tops, skirts and jackets are available with prices ranging from around $45 to $80 and all the profits go to Lifeline. What we were soon to discover is the grand opening is not until later this week, and Lifeline was so excited about the project they decided to open the store a week earlier. That’s not all, though. As you can see from our dodgy iPhone pics, there are also soy candles, soaps, bags and accessories as well as lots and lots of books. Similar to the clever and eclectic nature of the clothing on sale, Hipsley’s book selection walks on the wilder side. We spotted a latin translation of Harry Potter, a coffee-table book of Harper’s fashion photography as well as the notorious how-to guide ‘The Game’ all priced between $10 and $20. All in all, Hipsley Lane is a fantastic little concept in the right place at the right time. No doubt things are looking very different than merely hours after opening last week, and we look forward to popping our heads in later this week to see how it’s all come together. I’m very excited about Hipsley Lane. Just slightly afraid for my credit card!